I don't regret it. It's just ugly. Tell me true, is there anything that can be done? 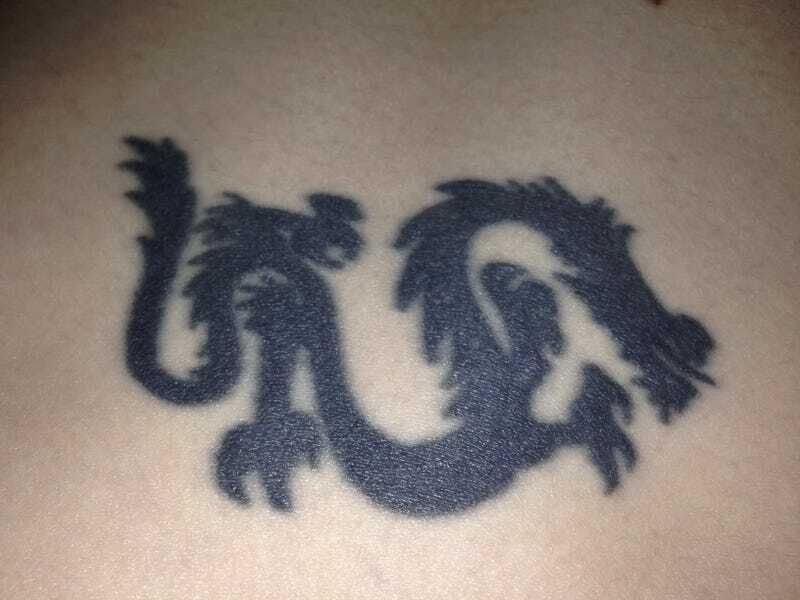 It's centered on my lower back (this is not something that is up for comment, it was 2002 and I was 18, OK?) and I've kind of always wanted to make it better but I don't really know how. It's 3.5"x2" for what that's worth. So, help? And what kind of damage am I looking at, money-wise? Anyone else with a bad tattoo? COMMISERATE WITH ME! Preferably with pictures (I took that pic by myself, btdubs, and I'm pretty impressed with myself, see how centered it is?! ).